There has been a lot going on recently. 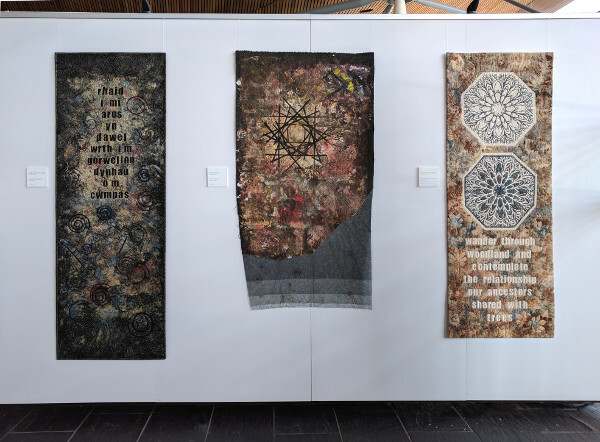 The most exciting event is my exhibition, ‘Textiles in Transition’ which is at Y Senedd (The Welsh Assembly Building) in Cardiff, from 27th March to 20th April 2017. This has been a brilliant experience. 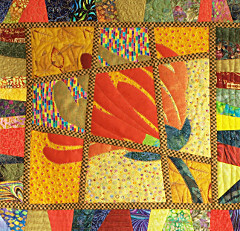 The building has some beautiful internal features and there are many visitors. My sponsor is Rhun Ap Iorwerth AM, the Assembly Member representing The Isle of Anglesey. His Office Manager at Y Senedd, Heledd Roberts, has been very helpful. It was lovely to meet her on our first visit. Paul Pulvirenti, Front of House Manager, is my main contact. He has been very organised and supportive, as well as being great fun to meet and chat with – keep cycling Paul! When it has completed its time in Cardiff, my exhibition will transfer to Ucheldre, Holyhead, Anglesey. It will be there from 26th April to 29th May 2017. 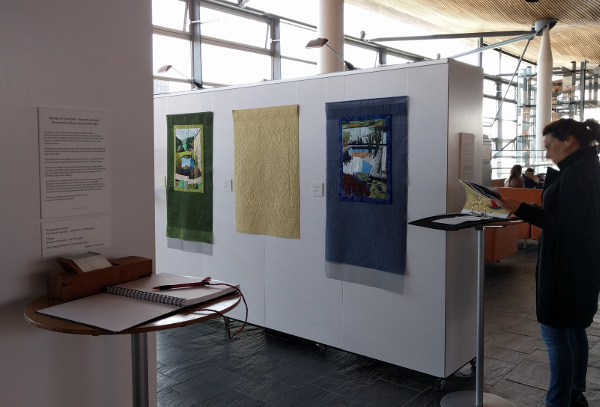 This entry was posted in Blog and tagged Dorothy Russell Quilt exhibition, Senedd cardiff, Textiles in Transition, Ucheldre Holyhead on 10 April, 2017 by admin.